I’ve heard short sales are complicated and can take months, but still not work out? Why is a short sale an advantage to me as a distressed property owner? homeowners navigate the difficult waters of the Short Sale transaction. He is your source for Frederick Short Sale Help. 1. For a number of possible reasons, a property that is or will soon be in some stage of the foreclosure process. 2. A property owned by someone who is experiencing a period of financial instability. 3. A property on which the mortgages total is higher than the current value and an owner must sell. A homeowner is ‘short’ when he owes an amount on his property that, when combined with closing costs and commission, is higher than the current market value. A short sale occurs when a negotiation is entered into with the homeowner’s mortgage company or companies to accept less than the full balance of the loan at closing. A buyer closes on the property and the property is “sold short”. A short sale is a process that takes specific paperwork, the short sale package, and it must be done accurately. This is where the training and experience of the agent make all the difference as to whether your home gets sold. There is no “short sale magic”, just hard work and knowledge. One of the most common misconceptions that homeowners have is that their lender is lying in wait to seize their house. Nothing could be further from the truth. Banks are in the business of lending money, not the real estate business, and they don’t want to own your house. The fact is a foreclosure has far-reaching financial and regulatory consequences that most people are not aware of. A foreclosure involves months of utilities, maintenance, interest loss, taxes, insurances, staffing costs…and not least of all legal fees. Short sales are different than traditional sales. There is a process that must be followed. The reason so many don’t work out is that so few realtors are trained to handle short sales correctly. Banks, as well, are overwhelmed with the sheer number of distressed properties; they are understaffed and ill-prepared. In 2007, in Maryland, only 1 in 31 short sales actually made it to closing. As the number of short sales has grown over the last few years, banks are gradually seeing the benefit of short sales over foreclosures, and are becoming more cooperative with the short sale process. Recent legislation to create standards for the short sale process has helped enormously to speed up the transaction. Recently, we’ve seen many more successful short sales than unsuccessful. Going through the foreclosure process is quite possibly the most devastating financial and emotional process a homeowner or family can go through. Credit scores can be lowered by 300+ points and foreclosure is the most devastating credit issue you can have in relation to future credit availability. If you successfully sell your house in a short sale, the deduction on your credit score is significantly less, and can be repaired sooner. A short sale is a way to avoid foreclosure, not a way to get out of a mortgage. 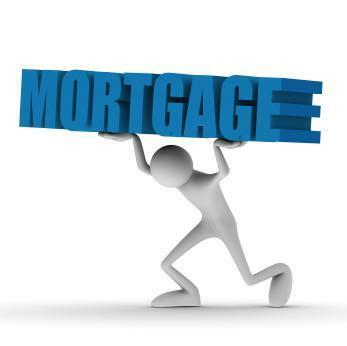 A seller must demonstrate a valid financial hardship for why he or she cannot pay their mortgage. There are very specific requirements. If you think you might be in danger of foreclosure, call us, we can help, we can discuss your options and at the very least, point you in the right direction. At the very best, we can help you avoid foreclosure. continue to pay the mortgage payments as they had. 2. Forbearance- More commonly known as a re-payment plan. Allows the homeowner to negotiate a re-payment of missed payments and fees to reinstate the mortgage. 3. Sell The Property- If there is equity in the property then the home can be sold and the foreclosure can be “cured” thus avoiding the foreclosure. 4. Rent The Property- The property can be rented however the mortgage must be made current. A rental agreement will not stop the foreclosure process. 5. Refinance- If the credit rating hasn’t been too badly damaged, a refinance may help especially if the monthly payments can be reduced. The recent bail-out from the Federal Government may enable some homeowners who qualify to refinance. 6. Deed-in-Lieu of Foreclosure- Commonly known as the friendly foreclosure. This involves for the bank to agree to foreclose and take the property back without the lengthy process. This is not recommended for properties with equity because the owner gives up the right to the property and any equity. This option is technically still a foreclosure and will show up as such on your credit report. Sometimes the bank will forgo any other recourse but that will also have to be negotiated. impossible to negotiate with any third parties. 8. Short Sale- When the homeowner owes more than the property is worth, a sale can be negotiated and an approval obtained from the bank to accept an amount less than is owed. Most of these options involve negotiation with the bank and a decent credit rating. If the credit has been affected already, then the only real option that can help is the short sale. In our experience when homeowners use the other options available, they wind up in the same predicament a fews months down the road because the underlying cause of their situation was never resolved. Also you must know-there are only two things that follow you for the rest of your life, a felony conviction and a foreclosure. True, after 10 years a foreclosure will drop off your credit report, however almost every lending institution will ask-Have you ever had a foreclosure? If you’ve had one you must answer yes, answering no could be considered fraud. Do you live in another state? We can recommend a short sale specialist in your area. What is a short sale? Are you eligible? We answer all your questions about the possibility of a short sale if you are underwater on your mortgage and unable to make the mortgage payment any longer.